The declining price of solar power and a high import dependency has got domestic solar equipment manufacturers worried. Is the government addressing their concerns? India is the third largest emitter of greenhouse gases in the world. As a signatory to the Paris Agreement, India is committed to investing in climate change mitigation, while addressing poverty, food security and access to healthcare and education. While the generation from conventional sources showed an annual growth rate of 5 per cent during 2016-17, the output from renewable power increased more than 26 per cent during the same period. The reasons for higher growth are attributed to the declining price of supplying solar power to the grid as well as the price of batteries. This in turn encourages more companies to invest more in the solar sector. Apart from these, various policy inducements offered by the Centre and state governments have translated into lower generation cost. The tariff for solar power has fallen to a record low due to the government’s solar energy drive aimed at reducing greenhouse gas emission. Five years ago, solar companies in India were producing a kilowatt-hour for Rs 7. Today it is down to Rs 2.44, which is even cheaper than coal. In the past few years, the global price of solar energy has fallen rapidly. As the cost of solar power continues to fall in India, it has a real opportunity to become a world leader in the transition to a clean energy system. However, the country is faced with two problems, which can dampen the solar energy drive. India’s installed capacity of diesel generating (DG) sets forms a third of its grid connected capacity. Burning diesel not only emits toxic fumes, but is also expensive way to generate power. As a deterrent, incentives for both capital investment and power generation by solar rooftop have been encouraged. The installation of solar panel on rooftops saves land and improves the environment. Government buildings, educational institutions, hospitals, commercial buildings, residential properties are being encouraged to install rooftop solar systems. Despite favourable policies and net metering guidelines in several states and a subsidy of 30 per cent offered by the nodal ministry, the installation of solar rooftop systems has been dismal in leading metros in the country. The government has earmarked 40 GW as the rooftop solar target by 2022, but as of December 2016, only over 1 GW worth of installations have taken place. The tardy progress might elude the target of the flagship programme. Lack of familiarity with the process and fear of bureaucratic red tape are the reasons for the slow uptake of solar rooftops in the residential sector. Other reasons are insufficient knowledge among citizens about the financial incentives and return-on-investment, a perception that large upfront capital investment is required, and ineffective implementation of net metering in various states. However, the challenges on the ground are more complex. Developers stress that there is a problem of lack of uniform roofs in the country that doesn't leave enough space to install big panels. The situation calls for concerted efforts by the agencies to build awareness among citizens and motivate developers to realise the goal. Impressive growth in the solar power sector hasn’t resulted in a commensurate gain for indigenous solar manufacturers. In fact, indiscriminate and cheap imports of solar plants and machineries from China and Malaysia have been hurting Indian manufacturing sector. Some of India's biggest solar equipment makers are facing financial collapse, priced out by Chinese competitors. There are more than 110 registered Indian solar cell and module makers, out of which only a handful expects to survive according to the Bridge to India, a consultancy firm. Indian companies produced an estimated 1.33 GW of modules last year out of the total capacity of 5.29 GW. In the recently held Smart City Conclave, the manufacturers (also panelists) expressed their serious concern about the vulnerability of very high (85 per cent) import dependency of the solar sector and falling solar power tariff. Pulling out of the Paris accord by USA has created a multi-billion-dollar market for Chinese solar product makers, who are facing an overcapacity at home and steep duties in Europe. Chinese companies have gained the most from that increase, accounting for around 85 per cent of India's solar module demand and earning around $2 billion, according to industry data. The total annual market could jump to more than $10 billion in the next few years going by the Government of India’s capacity targets. The need of the hour is to revisit the extant solar power policy. A level playing field and an ecosystem should be provided to Indian manufacturers. Arresting the free fall of power tariff is also must for a healthy growth of the solar energy system. In my view solar energy is the ultimate source of all energy for mankind and I fail to understand why every country is not putting its best foot forward to make it commercially viable. I had installed flat plate type solar water heating system in my house right at the construction stage way back in 1999 to save electricity and haven't looked back. When more efficient solar water heating systems came in the market I have replaced the old one in 2016 and I am very happy with performance. In 2017 I have installed a 5 KW roof top photovoltaic solar power plant in my house and it is working very well. It's a grid synchronised system with net metering. However, the local electricity authorities are neither having the complete knowledge nor cooperating in the net metering process and not adjusting the bills properly & timely. This is a set back. Moreover people are hesitant due to lack of information and knowledge about the solar power generation and its resultant benefits. We need to focus on educating the masses. My other observation is that maximum electricity in states like Rajasthan is consumed in air conditioning in summer and water/space heating in winter. I feel vapour absorption type air conditioners of 5 TR capacity designed to run on solar water heating systems should be commercially made available and it can find a huge market in the cities. It can be used for hot water in winter and air conditioning in summer. Also solar panels should be provided with tracking system to improve efficiency of power generation. I am open to installing a 5 TR vapour absorption type air conditioning system in my house in Udaipur Rajasthan if someone can supply & install at competitive rates. 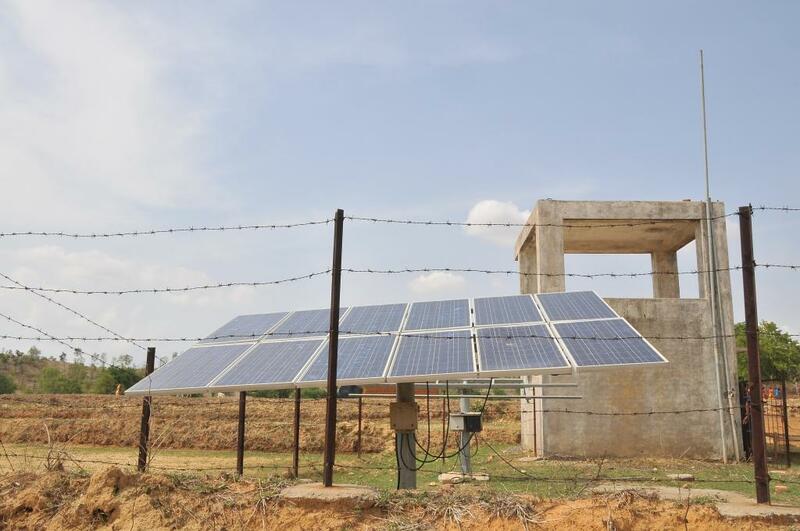 In Solar Energy(PV) activity has been shifted from Rajasthan and Gujarat to AP,Telangana and Tamil Nadu. The World’s biggest Solar park 1000 MW with an outlay of Rs 7000 Crores was installed in Kurnool District. It was commissioned two months back Within a month of commissioning there was a simple Gale. Many Solar panels were blown away. The Solar panels were to withstand wind speeds upto 23okm/hr. This gale is nothing. I am astonished to find no action has been initiated when public money is drained like this. When there is no accountability for such a gigantic project, how about small projects? The roof top solar systems are not taking off as they are not installed in bulk as in case of Mega Watt level plants. The primary source of roof top plants are identified by SECI as house holds, schools, colleges, hospitals and incentives are worked out for those beneficiaries. The commercial establishments are not offered any subsidy for their roof top installations. The benefit of accelerated depreciation of assets is not seen as appreciable benefit by a house holder, many do not understand it. The benefits in terms of accelerated depreciation, would probably be understood by companies paying taxes on their assets. Most of the registered developers are of MSME category who do not figure in the competition of mega watt level plants. The Mega Watt level plants are funded by international bodies on lower interests, unlike the loans offered by the local banks. The local banks do not offer loans at 5% interest for solar projects as proposed by the Government. The government need to push the banks, set targets for loans to be given to MSME companies for roof top solar plants. There is a long waiting for the subsidy offered by the Government for roof top solar plants. It takes around three to four years in Tamil Nadu. I do not know about the other states. It is paid to consumer through solar power installers, not directly to the consumers. All subsidy matters should be made online to avoid bureaucratic or procedural delays. There are consumers who do not have space for roof top solar plants. We need to implement virtual net metering in such cases, which enables sharing of roof by different consumers. Why are we slow on micro grids for industrial consumers? The growing amount of electricity required to generate every year and the resources used to generate the same are high on expenditure. Hence, if there is something which only involves the installation charges, which may be high indeed, I guess there is no harm in ailing to get the solar energy. Installing rooftop solar powers and industrial panels is a great going to save the natural resources and save money inded. You can go through various solar energy solutions companies to get them installed at your place.